ALUNAR 3D Desktop Printer made of high-quality parts quality and is a brand you can trust! 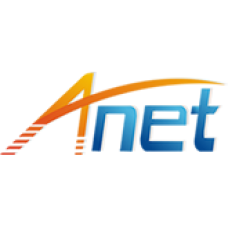 Their HQ is in China and they have Warehouse in US also to be able to ship the Alunar 3D Printer Kits to the ..
Anet Technology HK Ltd All rights reserved. A Salon Technologies Group Company, Specialized in the R&D , design of 3D Printers , filaments and printer parts . 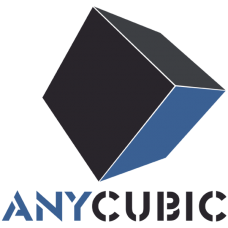 We have the independent intellctual prope..
ANYCUBIC (Shenzhen Anycubic Technology Co., Ltd) is a high-tech enterprise integrating R&D, manufacture and marketing of 3D printers. Founded in 2015, we have been fast growing and have more than 200 ..
Shenzhen Yuntu Chuangzhi Technology Co., Ltd was founded in October 2018, a high-tech company dedicated to producing high quality, prosumer grade 3D printers under the brand EVNOVO (Artillery).Our pro.. It all started in the small town community of Rapelje, MT. After graduating in a five person high school class, Jason and Weston came back to their respective family farms. Both have been designing ..
Shenzhen Creality 3D Technology Co., LTD. was established in 2014, who is a professional 3D Printer manufacturer, we focus on research and develop new technology to create new products. We have the c..
Creatbot 3D Printer,a company established in 2011 by founder and CEO Baohua Chen. While it has not received much media attention, CreatBot offers a full range of 3D printers which address many of the ..
Createbot, the first desktop 3D printer manufacturer in Wenzhou, is located in Yueqing Science Incubation Park. From foreign products imitation to independent research and development, Kanin successfu..
3D Systems provides the most advanced and comprehensive 3D digital design and fabrication solutions available today, including 3D printers, print materials and cloud-sourced custom parts. Its powerful..
Ares is the Greek god of war. Our newly developed 3D printer is called Ares, as it represents our hopes, dreams and goals. We hope that this printer can meet most of your daily requirements in terms o..
eSUN was originally founded in Shenzhen in 2002, which is dedicated in R&D and industrialization of bio-degradable polymers, such as PLA and PCL. Adhering to Open Innovation with several top universi..
What we do We provide creative minds a valuable tool to realize their ideas by developing and selling premium desktop 3D printers.Our products are highly suitable for business and education use. But ..
FlashForge was founded in 2011 with the vision to Create a Joyful 3D Life with You by providing cost-effective and high-quality 3D printers to every one of you. We’re a passionate team of engineers, a..
Jing Zhang is the Owner & Founder of FLSUN 3D Technology Co., Ltd. are specialized in 3D printer research and production of high-tech enterprise machine.We manufacture and supply high quality 3d print..
Folger Technologies, LLC is a New Hampshire based company founded by John Folger. 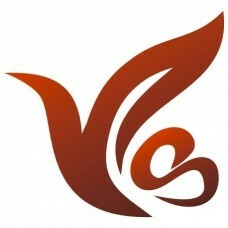 The company launched in 2005 with the initial idea of providing affordable 3D printers to consumers worldwide. Now alm..
We are committed to the development and production of large size 3d printer. 3 years of research and development focused on creating what we now highly stable, large size, rapid replacement extruder 3..
Shenzhen Getech Co .,Ltd( Geeetech) is an innovative, technology oriented enterprise that is specialized in the R&D, manufacturing and sales of 3D printer and the spare parts of 3D printer. Geeetech h..
HE3D HOYI SUNWAY Ltd was established in 2009, We are 3D Printer manufacturers, the main 3D printer, 3D scanner, 3D printer accessories. We do a lot of improvements on the basis of open souce, hoping t..
LinkSprite focus on home automation and health care standard hardware and software, APP development. We provide design service, sourcing and production service for IP camera, 3D Printer Prusa i3 Kit,b..
LulzBot® is a product line of Aleph Objects, Inc., a Free Software, Libre Innovation, and Open Source Hardware company. Aleph Objects was founded in January 2011 and headquartered in Loveland, Colorad..
We are a passionate team of engineers and artists revolutionizing the field of 3D printing forever. M3D and the Development of the Micro 3D Printer As with many tech startups, M3D began as an idea..
MakerBot believes there's an innovator in everyone. 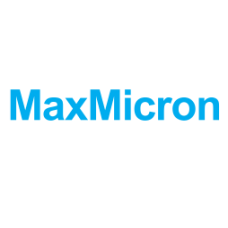 As a global leader in desktop 3D printing, we set the standard in reliability and ease-of-use by providing effective solutions for every stage of th..
Maxmicron is a company of passionate people based in Hong Kong and Xiamen (South China). We are specialized at producing personal open 3D printer kits and by-product open hardware. Our goal is to sup..
We are a creation team about 3D printer who come from China. Now we are trying to do some original design to make 3d printer cheaper and more easy to assemble. On the basics of Open Source, we continu..
Yiwu Mantuo Intelligent Technology Co.,Ltd All rights reserved We are a professional large-size FDM 3D printer manufacturer. 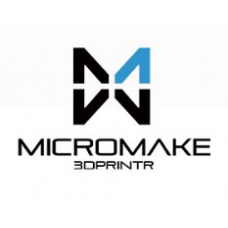 Since company establishment Multiple Object Outputter,abbreviated as MULT..
Phrozen, a 3D printer company that is developed by engineers based in Taiwan. We started from Crowd-Funding in US and Taiwan few years ago and focus our major development on DLP-based and LCD-based re..
Josef Průša works with the RepRap community.Our inventions are all around the globe! The full metal nozzle and the famous red pcb heated bed.We work with everyone in the community. Ultimachine, Slic3r..
RepRap Guru is your ultimate platform for the finest quality experience in terms of DIY 3D printers. 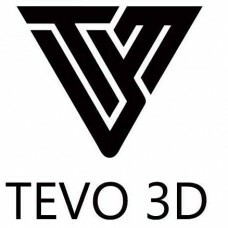 Our team of experts has utilized countless hours to develop a deluxe DIY Prusa i3 printer kit that ..
TEVO 3D Electronic Technology Co., Ltd We are the Official Professional manufacturer of leading Tevo Tarantula and Tevo Black Widow Openbuild large build 3D Printer DIY Kits. Our company is an e..
From the very beginning, our mission has been to empower and inspire people around the world by developing open source 3D printers and tools. And thanks to our talented team, that’s just what we’re do..
With great efforts from everybody of WANHAO 3D Printer team, WANHAO start oversea 3D printer supplying since Aug 8th 2012. 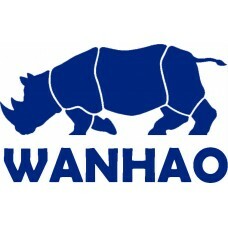 After accumulating 6 months experience in China local retail market, WANHAO h..
Wombot 3d Printers! Australian made Wombot 3D Printers are ready for sale! Aussie Built, Aussie Tough! ..
Xinkebot is breaking through the current limitations of 3D printing to unlock new applications and growth markets worldwide.Xinkebot’s flagship technology, enables industrial strength, large format 3D..